Namibia: Another six rhinos have been killed by poachers! According to Colgar Sikopo, Director of Wildlife and National Parks at the Ministry of Environment and Tourism, Namibia has lost another six rhinos to poachers since the last figures regarding the illegal killings of rhinos were released in early August 2016. A total of (at least) 43 rhinos have been killed by poachers so far in 2016. 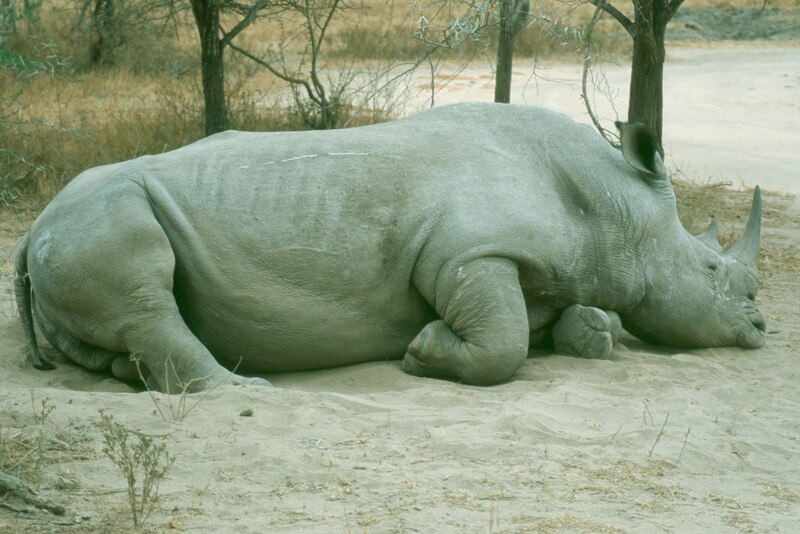 Poachers have killed about 10% of Namibia's rhinos in recent years - one rhino was recorded poached in 2011, two in 2012, four in 2013, 24 in 2014 and 127 in 2015. Out of the 201 rhinos killed by poachers since 2011, 184 were black rhinos and 17 were white rhinos. 137 black rhinos and eleven whhite rhinos were killed in Etosha National Park, 40 black rhinos got slaughtered in conservancies and six white rhinos as well as seven black rhinos on private land. OR Tambo International Airport (Johannesburg): Security delays possible due to potential industrial action! update (01 Oct 2016): Queues and longer processing times are still being experienced at Immigration at OR Tambo International Airport (JNB) in Johannesburg due to industrial action. The Airport encourages all passengers to proceed to the security checkpoint immediately after checking in. update (29 Sept 2016): ACSA yesterday confirmed that "there are currently long queues observed at the various terminal security check points" at OR Tambo International Airport (JNB) in Johannesburg! According to a travel update by South African low cost-carrier FlySafair, the airline has been advised this morning (28 Sept 2016) of potential industrial action on the part of the ACSA Airport Security Teams at OR Tambo International Airport (JNB) in Johannesburg. It is expected that movement through the security gates in the Domestic Departures Terminal (!) will be slower due to long queues. Passengers are advised to arrive as early as possible! Table Mountain Cableway: Strike action to affect operating hours! update (03 Oct 2016): The strike is over; Table Mountain Aerial Cableway Company staff members affiliated to the South African Commercial Catering Workers’ Union (SACCAWU) returned to work this morning! 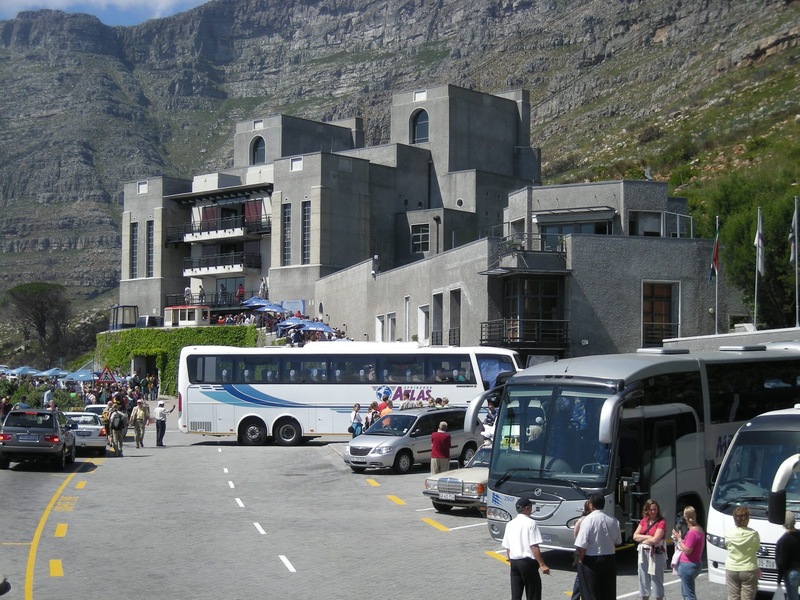 update (29 Sept 2016): Table Mountain Aerial Cableway Company staff members affiliated to the South African Commercial Catering Workers’ Union (SACCAWU) went on strike on 28 Sept 2016, following the parties' failure to reach settlement on annual salary increases. Strategic operational changes have been implemented to limit the impact on visitors (see below!) We'll keep you posted! Johannesburg & Cape Town are the most-visited cities in Sub-Saharan Africa! According to the Mastercard Global Cities Destination Index 2016, Johannesburg and Cape Town will be the most-visited (by overnight international visitors) cities in Sub-Saharan Africa with 3.60 million (+6.2% compared to 2015) visitors and 1.37 million (+6.2% compared to 2015) visitors respectively. While in Johannesburg, visitors are estimated to spend a total of US$1.7 billions; in Cape Town, visitors will spend US$1.0 billion. Cape Town will also be the fastest-growing destination city by international overnight visitors in Sub-Saharan Africa (CAGR 2009 & 2016 = +2.9%), followed by Johannesburg (CAGR 2009 & 2016 = +2.3%). In terms of purpose of visit (business, leisure plus other purposes) and expenditure breakdown by category (accommodation, food & beverage, shopping, local transport, local services, misc. 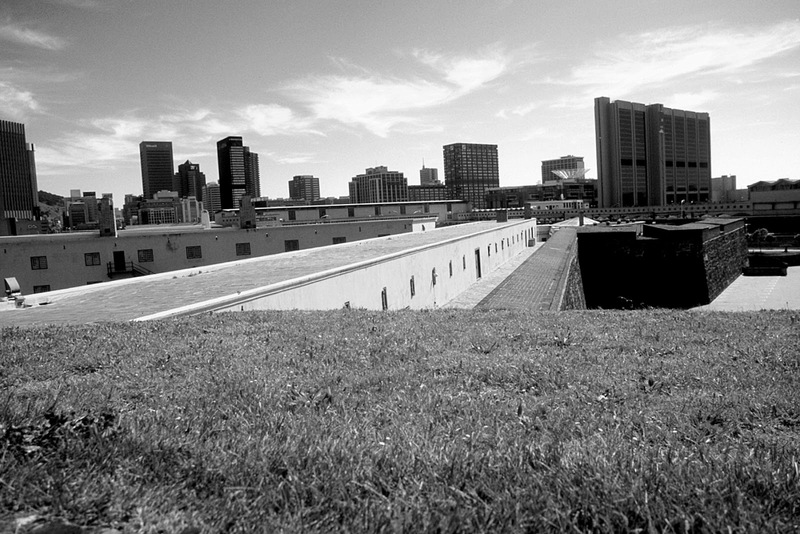 ), Cape Town will also be ranked first in Sub-Saharan Africa, followed by Johannesburg. The peak months for visiting Cape Town are, according to the Mastercard Global Cities Destination Index 2016, November to February, while most of the overnight international visitors are visiting Johannesburg in August and between October and December. The Mastercard Global Cities Destination Index 2016 also provides statistics regarding Johannesburg's top five feeder cities. London in the UK is Joburg's most important feeder city, feeding 373,000 visitors who spend 285,000 million there. Harare (Zimbabwe) is the second most important, feeding 294,000 visitors with US$106 million in spending followed by Frankfurt (Germany) with 233,000 visitors and US$84 million spending. Maputo (Mozambique) is ranked fourth with 185.000 visitors (spending: US$41 million) and Paris (France) fifth with 163,000 visitors (spending: US$155 million). Kruger National Park: The new & completely transformed Tshokwane Trading Post & Picnic Site to open in October 2016! The new and completely transformed Tshokwane Trading Post & Picnic Site in in the Kruger National Park, situated just an hour away from the Skukuza Rest Camp and and the Satara Rest Camp, will open on 01 October 2016. The transformed spot now offers comfortable stoep-style seating under the dappled light of a new structure, while the rest of the site is dominated by a huge sausage tree. Visitors can prepare their own food on a gas skottel (which can be hired from the Tshokwane Trading Post, together with essentials like bacon, eggs and fresh bread), or opt for an authentic wood fire meal grilled at the base of a large stone chimney – a one-of-a-kind braai monument. Alternatively, visitors can order from the Tshokwane Trading Post and take the food with them as delicious padkos for their journey through Kruger National Park. Tshokwane Trading Post offers traditional "bush breakfast" (eggs, boerewors and coal-toasted “potbread”), boerie rolls, kudu wors rolls, homemade pies, delectable frikkadels or braaied lamb chops with South African staples like stywepap (stiff maize meal porridge) and tamatie smoer. Freshly prepared salads and traditional treats like homemade milk tart, a fire grilled Rolo-filled marshmallow sandwich or pineapple skewers dusted with cinnamon, pepper & brown sugar are also on offer. An array of unique souvenirs, Tshokwane branded clothing, picnic goodies and much more is also available from the Tshokwane Trading Post. CapeNature, the governmental organisation responsible for maintaining wilderness areas and public nature reserves in the Western Cape, provides free access to day visitors to all of their 25 reserves during the CapeNature Access Week from 19 - 25 September 2016. That means the standard conservation fee that day visitors usually pay will be waived for those days! Fair Trade Tourism certifies the Naara Eco Lodge in Mozambique! Fair Trade Tourism (FTT), a South African NGO that encourages and monitors fair and responsible practises in tourism establishments and activities, has added the Naara Eco Lodge in Mozambique to the family of FTT-certified businesses. The Lodge, located located on the Nhambavale Lake in the village of Chidenguele, some 260km north of the capital of Maputo, offers 10 Luxury Safari Tents which are surrounded by the African indigenous bush and overlook the calm waters of the Nhambavale Lake as well as and the Natura Wellness Centre – a luxurious spa in a secluded forest alongside the dunes. Naara Eco Lodge prides itself on its involvement in the local Inhandime community and the initiatives it is undertaking, such as the installation of a deep well water system to provide villagers with access to clean water; the establishment of a community trading store and job creation programmes aimed at recruiting local staff and tourism guides. The Lodge also procures all of the produce used in creating its vibrant menus locally, lowering its carbon footprint while at the same time increasing entrepreneurial opportunities in the community. Naara Eco Lodge is solar powered and has an efficient waste management system. South Africa: Free entry to all Iziko museums in Cape Town during in_Herit Festival 2016! Iziko Museums of South Africa is offering free entry to all Iziko Museums during the annual in_Herit Festival, which will take place from 19 - 25 September 2016 in Cape Town. The festival highlights and celebrates South Africa's heritage; it includes talks, performances, lectures, exhibition openings and behind-the-scenes tours. Iziko Museums of South Africa is a public entity and non-profit organisation that operates eleven national museums and three collection specific libraries* in Cape Town. South Africa: ACSA has upgraded the free WiFi offerings at its airports! Airports Company South Africa (ACSA) has upgraded its free WiFi service at its nine airports* in South Africa. Passengers in the boarding areas of the airports now have either 4 hours of WiFi connection or 1 gigbyte of data available at no charge. When the complimentary four hours have lapsed or the one gigabyte of data is reached, users continue to use the WiFi service on a pay as you go basis. Purchased access can be used at any Airports@vast Hotspots throughout South Africa. *OR Tambo International Airport in Johannesburg, Cape Town International Airport in Cape Town, King Shaka International Airport in Durban, Bram Fischer International Airport in Bloemfontein, Upington Airport in Upington, Port Elizabeth International Airport in Port Elizabeth, East London Airport in East London, George Airport in George and Kimberley Airport in Kimberley. TAAG Angola to launch flights between Luanda <> Maputo! The state-owned national airline of Angola, TAAG Angola Airlines, is set to introduce nonstop flights between Quatro de Fevereiro International Airport (LAD) in Luanda and Maputo International Airport (MPM) in Maputo, Mozambique on 02 November 2016. The airline will operate two flights per week on Wednesdays and Fridays on board a Boeing 737-700 between the two cities. South Africa: New rhino and elephant poaching figures! According to the latest statistics released by the Department of Environmental Affairs, South Africa has lost at least 702 rhinos to illegal poaching since the beginning of 2016 (Jan - July 2015 = 796). Of the rhinos poached, 458 were killed in Kruger National Park. While poaching in Kruger National Park is on the decline (Jan - Aug 2015 = 557 rhinos), the number of rhinos poached has increased in a number of other South African provinces in comparison to the same period in 2015, such as KwaZulu Natal, Free State and the Northern Cape. Since January 2016 a total of 36 elephants have been poached in Kruger National Park. A total of 414 alleged poachers have been arrested in South Africa since 01 January 2016 – of which 177 were in Kruger National Park and 237 for the rest of the country. A total of 94 firearms have been seized inside Kruger National Park between 01 January and 31 August 2016. Air Namibia to introduce flights between Windhoek <> Durban via Gaborone! Namibia's flag carrier, Air Namibia, is set to introduce four weekly flights between Hosea Kutako International Airport (WDH) in Windhoek and King Shaka International Airport (DUR) in Durban, South Africa, via Gaborone's Sir Seretse Khama International Airport (GBE). Flights will commence on 30 October 2016.
update (30 Nov 2016): According to the latest update of the Foreign travel advice - Zimbabwe (27 November 2016) by the Foreign & Commonwealth Office (UK), the UNIVISA is still suspended! According to the latest update of the Foreign travel advice - Zimbabwe (06 September 2016) by the Foreign & Commonwealth Office (UK), the UNIVISA, which allows travellers to enter both Zimbabwe and Zambia using a dual visa, is currently suspended. It is advised to get a double entry visa for both countries if you are planning to travel between Zimbabwe and Zambia (more than one entry either way). Both Zimbabwe and Zambia issue double entry visas at ports of entry. South Africa: Africa's only commercial whisky distillery now offers tours and tastings! No bookings can be made at the James Sedgwick Distellery or on arrival. Bookings can only be made online. The cost is currently R350 per person. All tours and tastings are for over 18's only. The James Sedgwick Distillery is loctated on Distillery Road in 7655 Wellington, Western Cape, South Africa. 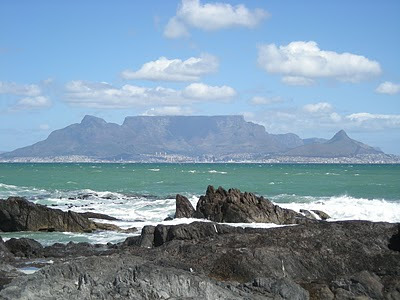 Cape Town: Free return tickets to Robben Island for locals on Heritage Day! 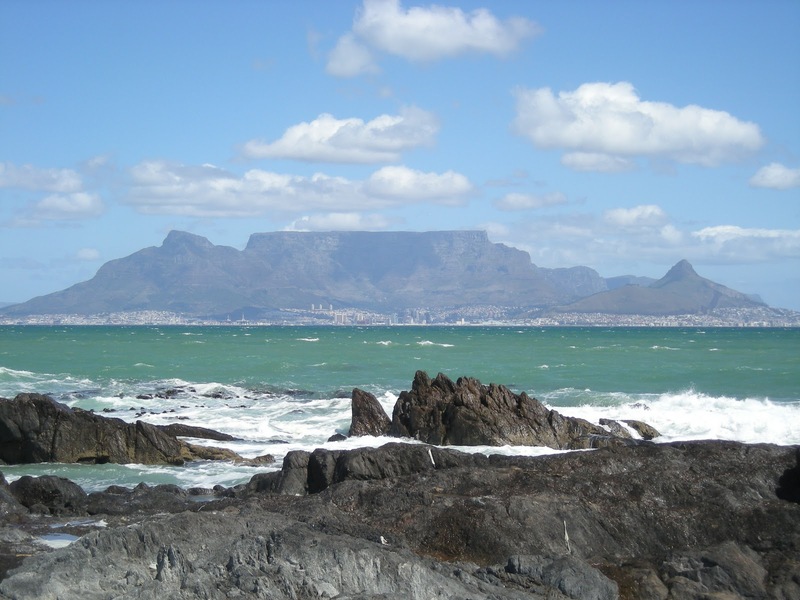 Cape Town's Robben Island Museum (RIM) in partnership with the National Department of Tourism (NDT) is hosting an "Open Day" on 24 September 2016 (Heritage Day). 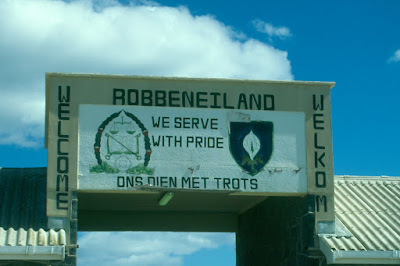 On this day, the Museum and the NDT are giving away 1600 free tickets to locals for a return trip to the island (including a prison tour on Robben Island). These free tickets will be issued to locals through community radio stations, local newspapers and non-profit organizations. Fastjet to resume flights between Kilimanjaro <> Nairobi! According to aviation specialists airlineroute.net, Fastjet is set to resume flights between Kilimanjaro International Airport (JRO), which serves the cities of Arusha and Moshi in northern Tanzania, and Jomo Kenyatta International Airport (NBO) in Nairobi, Kenya, on 03 November 2016. The airline will operate will operate two flights per week between the two destinations on board an Airbus A319. Namibia switches back to daylight saving time on 04 September 2016. 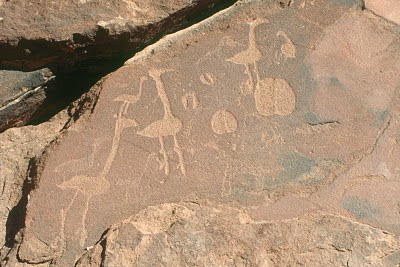 The Namibian time therefore changes from UTC+1 to UTC+2. The official time change will take place at 02:00am (from 02:00am to 03:00am). The time will not change in the Zambezi Region, as this area is not subject to summer and winter time changes. Daylight saving time in Namibia will end and summer time will beginn again on the first Sunday in April 2017 (02 April 2017). Kenya: Kenya Airways launches shuttle service between NBO <> Nairobi CBD! Kenya's flag carrier, Kenya Airways, has introduced a shuttle bus service between Jomo Kenyatta International Airport (NBO) and Nairobi's Central Business District. The KQ shuttle buses depart from the Sirios Car Park on Loita Street in Nairobi's CBD at 06:00, 11:00 and 17:00, while the service from the airport to the city departs at 09:00, 14:00 and 21:00. Tickets cost 1000KSh/person (GBP 7.30 | Euro 8.70 | USD 9.70 | ZAR142.00); passengers are allowed two pieces of luggage plus hand-held items. Jomo Kenyatta International Airport (NBO) is located about 15km (9 mi) southeast of Nairobi's central business district. 1.38 million tourists visited Namibia in 2015! Namibia's Environment and Tourism Minister Pohamba Shifeta has officially launched the 2015 tourist statistical report. According to the report, over 1.5 million foreign people arrived in Namibia in 2015. Out of the total foreign arrivals recorded, 1.38 million were tourists, 15 580 were returning (foreign) residents and 99 883 were same-day visitors. The top tourist markets for Namibia in 2015 include the country's direct neighbors Angola, Zambia and South Africa, as well as Germany, the United Kingdom, the United States and France. About 43% of the tourists visited Namibia between May and September 2015, while 28.7% arrived between January and April 2015 and 28.3% arrived between October and December 2015. 31% of overseas tourists arrived in Namibia between July to September 2015. KwaZulu Natal: Mahala Fridays - free entry to KZN's wildlife parks for South Africans! Ezemvelo KZN Wildlife, the governmental organisation responsible for maintaining wildlife conservation areas and biodiversity in South Africa's KwaZulu-Natal Province, has launched the "Mahala Fridays" initiative. During September 2016, the first 100 South Africans (don't forget your ID) to enter each of Ezemvelo's game reserves, except for the iSimangaliso Wetland Park, have free access. Ezemvelo also encourages schools (school groups) to visit the reserves in KwaZulu-Natal for free (including game drives) during 17-24 September 2016. Travellers should keep "Mahala Fridays" mind when visiting Hluhluwe–iMfolozi Park, Natal Drakensberg Park, Tembe Elephant Park, uMkhuze Game Reserve, Oribi Gorge, Ithala Game Reserve or Royal Natal National Park during September 2016 - the parks might be a bit crowded! South Africa's most punctual domestic airlines in August 2016! Airports Company South Africa (ACSA) has published the on-time performance results of domestic airlines’ flying out of OR Tambo in Johannesburg, Cape Town International Airport, and Durban's King Shaka International Airport in August 2016. Mozambique: Australian Consulate operates from a new address in Maputo! According to the latest travel advice update by the Australian Department of Foreign Affairs and Trade (smartraveller.gov.au, 01 Sept 2016), the Australian Consulate in Maputo, Mozambique, is now operating from a new address.